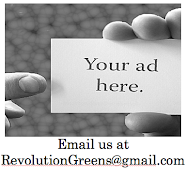 The Revolution Greens team agrees with the other green party people out there - Its better to drink organic. A new organic vodka has hit the market and this one is from the heartland of the United States. The fifth-generation of family distillers who run the Phillips Distilling Company have turned a new, green page with the recent release of Prairie Organic Vodka. This corn-based vodka is certified organic and kosher(Shalom). All of the corn used in Prairie is grown by a co-op of 900 farmers in and around Benson, Minnesota where the vodka is produced. From the corn to the stills to the bottling, Prairie is organic and has reduced the environmental impact of production significantly. Party time people!!!!!!! Drink it up. Check out their website below.